David Halberstam’s The Breaks of the Game surely must hold the title of “Greatest Sports Book Ever.” I can’t imagine anything else comes close. I really enjoyed John Fienstein’s A Season on the Brink, and his Next Man Up is also excellent. But Halberstam somehow made me care deeply about the NBA and the Portland Trail Blazers 1979-80 season, though I usually care very little for either. Throughout the book Halberstam deals with several different characters, from the owner down to the team’s medical staff. Each time he manages to reveal a new perspective. At first one has sympathy for person ‘x,’ but then 50 pages later you get the other side of the story. 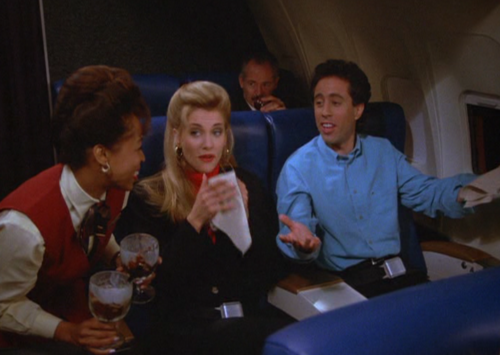 Everyone gets a sympathetic treatment, everyone has their turn. Halberstam shows remarkable restraint and the characters get to tell the story. The narrative’s broad field of vision is another reason for the book’s success. 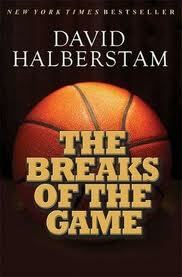 Halberstam wrote just as the merger of sports and tv started to look like something that we might recognize today. So tv executives get their say as well, and the marketing of the game shows up as a supporting actor in the drama that unfolds. A quiet desperation seeps through the pages of the text, the feeling that, “this cannot go on.” Reading this, you get the sense that the NBA, and sports in general, is due for a “market correction.” The tensions between money, the “purity” of the game, athletes well-being, and so on, surely cannot last forever. And yet they have. Halberstam may have been a subtle prophet of doom, but apparently not imminent doom. If anything, all of the factors that created the tension in the game have increased exponentially — more money, more tv, more exposure, more games (i.e. the expansion of the playoffs in all major sports), more everything! How can this continue? seems to bear out in experience. Betting against the future of sports in America seems like a sure winner, if only it will pay off before you go bust. 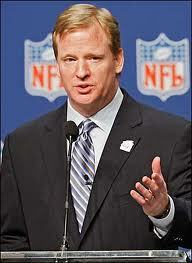 From almost the beginning of his administration, I have not been a fan of NFL Commissioner Roger Goddell. I certainly hope that he is a good and decent man, and I believe that he works hard and sincerely believes in the work he does. The NFL reigns atop the sports world in particular and the tv ratings in general. One might hope that they would enjoy the fruits of their spoils. After all, no one lives forever. But this is not happening, and that should not surprise us. I would have none of you imagine that he will be fighting for a small matter if we refuse to annul the Megarian decree, of which they make so much, telling us that its revocation would prevent the war. You should have no lingering uneasiness about this; you are not really going to war for a trifle. For in the seeming trifle is involved the trial and confirmation of your whole purpose. If you yield to them in a small matter, they will think that you are afraid, and will immediately dictate some more oppressive condition; but if you are firm, you will prove to them that they must treat you as their equals. 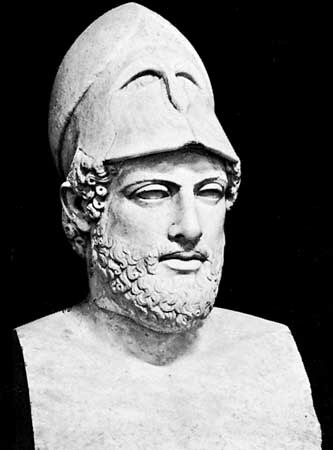 Nor is it any longer possible for you to give up this empire … Your empire is now like a tyranny: it may have been wrong to take it; it is certainly dangerous to let it go. Thus, their power traps them into rigidity, which in time, brings them down. They think in one direction. The cry is always “onward,” which bloats them unnecessarily. The NFL parodies such empires with their recent move to Thursday night games all season long. Imperial overstretch might be just around the corner. Alas for NFL fans, Roger Goddell shows some of the same symptoms that afflicted Pericles and other leaders of dominant empires. The NFL Players Association did not help matters by signing away tremendous power to him in the recent collective bargaining agreement, and with this power he has become quite touchy. The exhibits, please. . . The Replacement Refs — Despite all the talk of player safety, Goddell has decided to use inexperienced referees rather than pony up a few million. It’s not as if the regular referees are holding the league hostage to unreasonable demands. The substance of their complaint seems entirely reasonable, as they just want to keep their previously existing pensions recently eliminated by the NFL. The arbitrary punishments of players with no due process. Thankfully, some of the punishments of Saints players has recently been overturned. 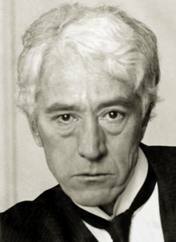 After the Sox scandal settled, Landis continued to overreach and attempted to ban players from barnstorming in the off-season. But he had the good sense to know when he was beaten. 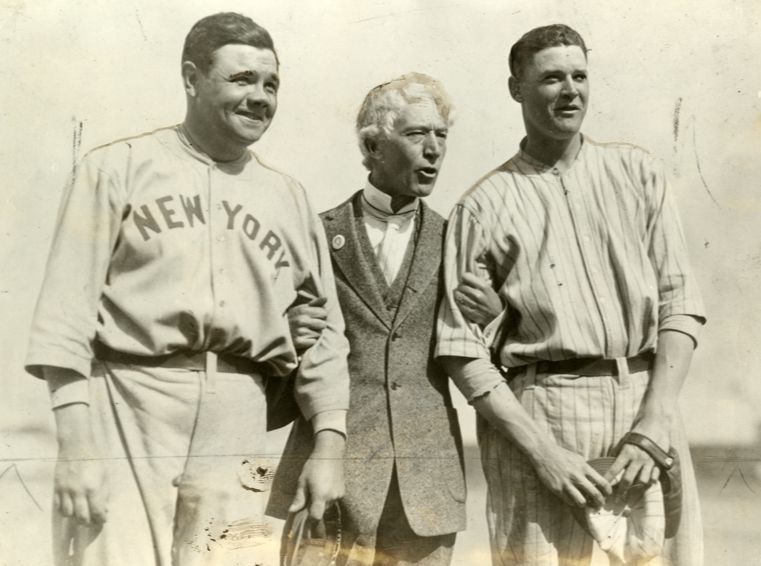 Babe Ruth challenged the ban and played in off-season games (famously quipping that, “the old man can go jump in a lake”). But Landis backed down in the end of his own accord. He recognized that there were certain crusades he could not fight. We shall see if Goodell has it in him to do the same thing. He has put a great deal of focus on the league’s image regarding player safety. The problems with the replacement refs, however, are multiplying quickly, and soon the games themselves will become meaningless. If a handful of league stars would strike in the interest of player safety, the lockout would be settled in short order. I am pulling for Goodell and the owners to transform themselves, to put substance before image. The well being of the NFL Empire may depend on it. I am no authority on science-fiction, but I do partake occasionally. 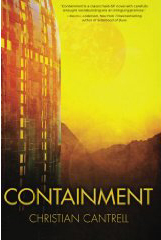 Recently I devoured Christian Cantrell’s Containment, and while most of the characters are a bit flat, Cantrell fascinated me with the political and scientific problems his characters face. Throughout Containment the older generation advocates for realpolitik. Arik, born and raised on Venus and trained to think “outside the box” to solve the problems inherent in the thin margins of existence in an inhospitable world, wants alternative solutions. One of their arguments turns on Venus’ relationship with Earth. Arik urges that they put more resources into strengthening ties between Earth and Venus. The leaders disagree. “Every colony inevitably separates from the mother country,” they argue, so why put resources into a sinking relationship? That got me to thinking, and I could not remember a colony that had not at some point separated and sometimes turned against their homeland. In the post-colonial 20th century, the list is enormous. But the ancient world has its own list. Carthage came to overshadow Phoenicia. Syracuse overshadowed Corinth. Egyptian colonies in Canaan often had to be reclaimed. Thera founded Cyrene in North Africa, which quickly established its own identity. And so on, and so on. . . .
We can go beyond the idea of colonies separating from motherlands. Containment does in part raise the question as to whether or not “Laws of Nature” govern human affairs. Many would argue yes, that “there is no armor against fate.” History is rife with systematic patterns that, while not perfect, still show very strong tendencies. For example, the idea of a “balance of power” between several states in a region appeals innately to our sense of fairness and proportion. No one has too much, and each state has to rely on each other to maintain peace. But, however noble the idea, can it last? If we take Europe as an example, it seems not. Before W.W. I England, France, Germany, Russia, Austria-Hungary, and even Italy to some extent all played a part in keeping the peace. But with so many participants, too many possible variable were in play. Combine these variables with human sinfulness, and you have W.W. I, which eliminated Austria-Hungary. Twenty years later W.W. II eliminated all of them except Russia, who stood toe-to-toe with the United States, until we have the current situation where we have only one global superpower. Earlier European history show this same tendency. Around 1500 you have France, the Holy Roman Empire, the Hapsburgs, and to some extent, England. The wars of Charles V finish the Holy Roman Empire. Then you had England and France both take successful shots at the Hapsburgs, which left France and England remaining. They seesawed back and forth until Waterloo, after which England stood more or less alone until 1871. In the ancient world similar patterns show up. Greece for a time stood balanced precariously on the backs of Sparta, Athens, Thebes, Corinth, and Argos. After the Persian wars only Athens and Sparta stood. After the Peloponnesian War, a weakened Sparta held sway for a time before falling to Thebes, which then itself fell to Macedon. Macedon alone held the torch in Greece until Rome ended all pan-Mediterranean balance by defeating both Carthage and Macedon from ca. 230-146 B.C. Systems have the advantage of abstract elegance, but who wants fate to rule? Many notable scholars use this fact to abandon Christian concepts of humanity. After all, without some semblance of control, humanity gets absolved of responsibility. If we have absolution from responsibility we have no ability to choose. Our DNA does that for us. The “I” disappears. Why anyone would seek to destroy even their own identity with their theories is beyond me. But the evidence does strongly suggests that patterns assert themselves in human affairs. Do we have any hope of avoiding them? We don’t need to deny the evidence, but instead see that it points in another direction. Maybe systems assert themselves not because of fate, but because of the uniformity of human nature, a Christian truth. Maybe we’re not enslaved to patterns, but instead enslave ourselves. If that were true than we might expect that the spread of Christianity, which frees us from slavery to ourselves, would shatter the patterns. If we believe that “service to God is perfect freedom,” Christians and Christian epochs should give evidence of the ability to escape destructive patterns. Do the Middle Ages, for example exhibit a freedom from such “inevitable cycles” of behavior? (1) The Crusades should count as a major conflict, and the only reason the Europeans didn’t fight each other is because the Church exported all its violent members overseas. (2) The major conflict never took place because they lacked the resources and the political structure to fight major wars. Once they had those (ca. 1500), then they did begin to fall into similar patterns as others nations in other eras. Alas, I must confess, these are good counters to my proposal. But on the other hand, regarding the Crusades, one could also argue that the Church also shipped society’s leaders overseas, which could opened up significant power vacuums in Europe, which usually lead to general wars. Europe did not experience significant this during the Crusades. Regarding point #2, they may have avoided centralized political systems (systems which could concentrate enough resources to wage a long, destructive war) during the Christian era precisely because they saw them as a threat. Only when the moral power of the Church eroded in the 14-15th centuries do we see the state start to take over, a role it has not yet had to relinquish some 500 years later.
. . . the prospects of man in Process of Civilization depend above all on his ability to recover a lost control of the pitch, it is evident that this issue [is to be] decided by the course of Man’s relations, not just with his fellow men and with himself, but above all, with God his Saviour. I had heard that the Black Key’s Dan Auerbach produced the album this song comes from, apparently from a desire to help more bands reflect the raw, “real” sound the Black Keys love. Indeed, some songs on this album do reflect Auerbach’s influence. But “Hypnotic Winter” is (at least on itunes) the most popular of the tracks, and in my opinion the best. And yet, it has a pop flavored slickness and happy bounciness that is nowhere near the ethos of the blues-drenched Black Keys. This doesn’t mean that Auerbach had no influence on “Hypnotic Winter.” Rather, his best influence on the band may have been an indirect one, when he stopped trying too hard to make converts. The video always bugged me, because Collins’ open-tom sound and off-beat fills give the song just enough edge, a perfect amount of spice, and yet nowhere are drums even seen in the video. Collins makes his bid for pop-stardom instead. 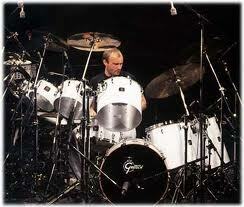 This certainly boded ill for Collins’ long-term future as a drummer with a distinctive voice. But perhaps in the immediate short-term his focus on singing and dancing sub-consciously freed him to deliver a fabulous drumming performance. I would love suggestions on how this principle can apply to teaching and life in general. Bill Carey’s post on law and gospel in teaching may have something to contribute. An American named Sherwood Wirt spoke with C.S. Lewis in 1963 in what ended up as Lewis’ last interview before his death. I include a few excerpts here, as they touch on the subject at hand. Wirt: A light touch has been characteristic of your writings, even when you are dealing with heavy theological themes. Would you say there is a key to the cultivation of such an attitude? Wirt: Should Christian writers, then, in your opinion, attempt to be funny? Wirt: But is not solemnity proper and conducive to a sacred atmosphere? The interview concludes with these words. . .